This document describes how to install and configure Rainloop on Debian 7. Rainloop is a popular free Open Source Web Application primarily written in PHP. It offers users a swift and contemporary web interface for accessing emails on a majority of commonly used domain mail providers such as Outlook, Yahoo, and Gmail, in addition to local mail servers. 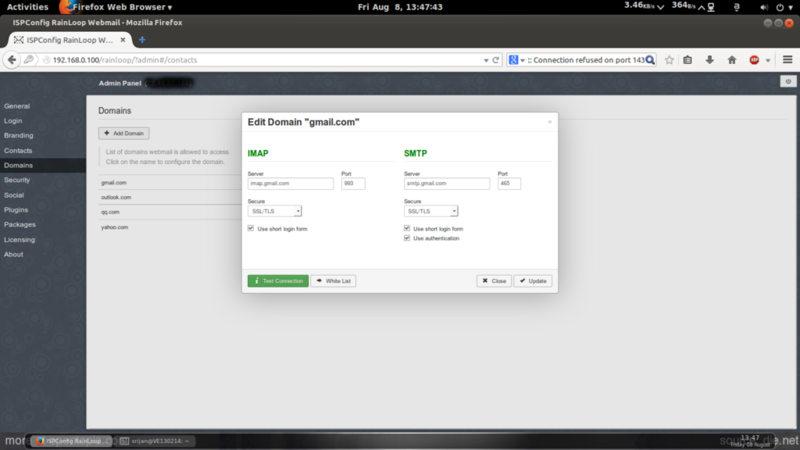 Rainloop also doubles up as a Mail User Agent (MUA) by accessing domain mail via IMAP/ SMTP protocols. This tutorial explains the process of installing Rainloop Webmail on Debian 7 and customizations for Rainloop. This tutorial is based on Debian 7 server, so you should set up a basic Debian 7 server installation before you continue with this tutorial. The system should have a static IP address. I use 192.168.0.100 as my IP address in this tutorial and server1.example.com as the hostname. As we all know, the RainLoop Webmail is essentially developed in PHP for Linux (with Apache). Hence, it is imperative to have a running Web server with PHP installed on the system, in addition to key PHP modules like cURL, dom, ibxml, openssl, DateTime, and PCRE. In order to install the requisite packages, users have the option to use any of the Package Manager Tools like yum/ apt-get based on the Linux distribution in use. Given below is a step-by-step guide on the process of installing Rainloop Webmail on Debian 7. 2. By modifying the application.ini file manually from the terminal. This will be the default welcome screen. We can customize Rainloop as per our need and uses. I have categorized them below. We can customize your login screen by adding Custom Titles, Descriptions and Path to the Logo. Further press the button i Test, you will notice that if the entries are correct the tab will change from gray colour to green color tab. How to enable sieve filters in Rainloop in a ISPConfig installation? How do you enable HTTPS on Rainloop? Im using wheezy and ISPCONFIG. Total beginner here but i was able to get it all up and running. PS im using NGINX 1.2.1 Thanks for the help! I like this webmail client very much and it is working perfectly with ISPConfig.This should be made the standard mailclient for ISPConfig installations instead of Squirrelmail which is a terrible webmail client to deliver to clients. In step 2.4 above, I get a login page, but when I try to login (first time) with "admin" "12345", I get an "Unknown error" appearing in a message box above. I am running apache2 as a general webserver and have a "webmail" subdirectory containing the 1.9.4.415 version of RainLoop. I have enabled access to the directory in the apache conf files. Any ideas? Got the same after trying to deploy this 5 times on 5 different oses. I am giving up on this Rainloop thing. Looks nice but too poorly documented to be worth it. Hello, Just to update you: Rainloop has got new plugin called "ispconfig-change-password" instead of "poppassd" so you can prevent the hassle of opened port "106" of pop3pw. "2. By modifying the application.ini file manually from the terminal. Care to say where this file is supposed to be? 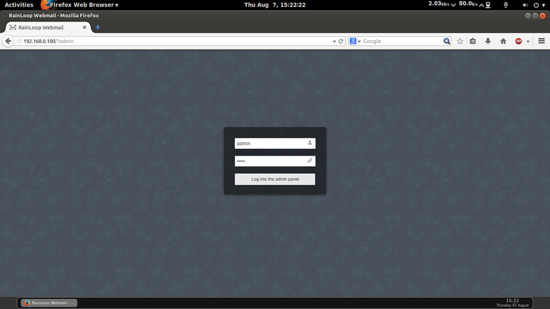 Installation and configuration of RainLoop on Debian 7 (Wheezy) in ova format, compatible with vmware and virtualbox.